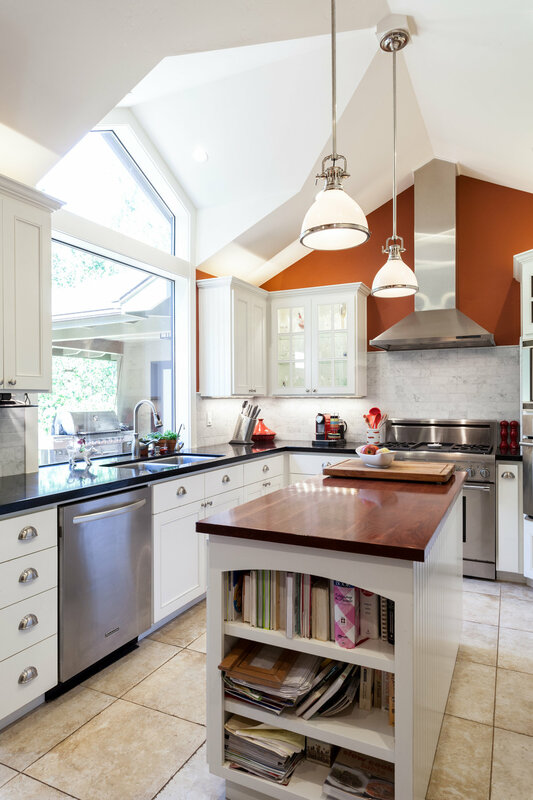 Renovation of an existing kitchen in Nevada City, California. 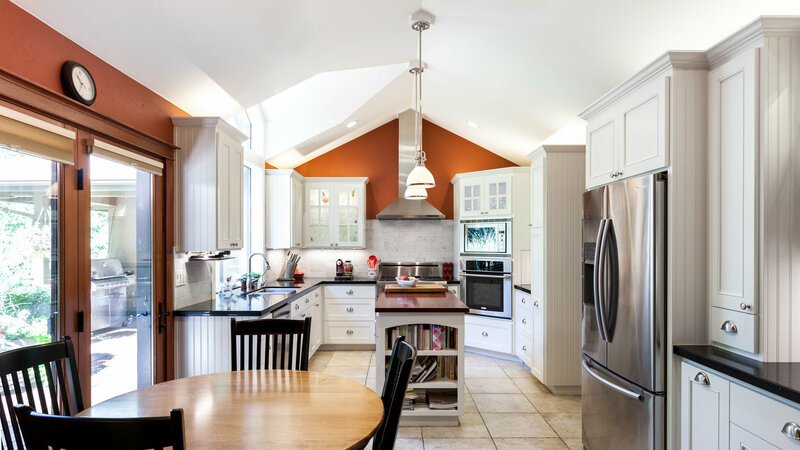 Siteline was chosen to design and build the renovation of this kitchen in an existing home in Nevada City. 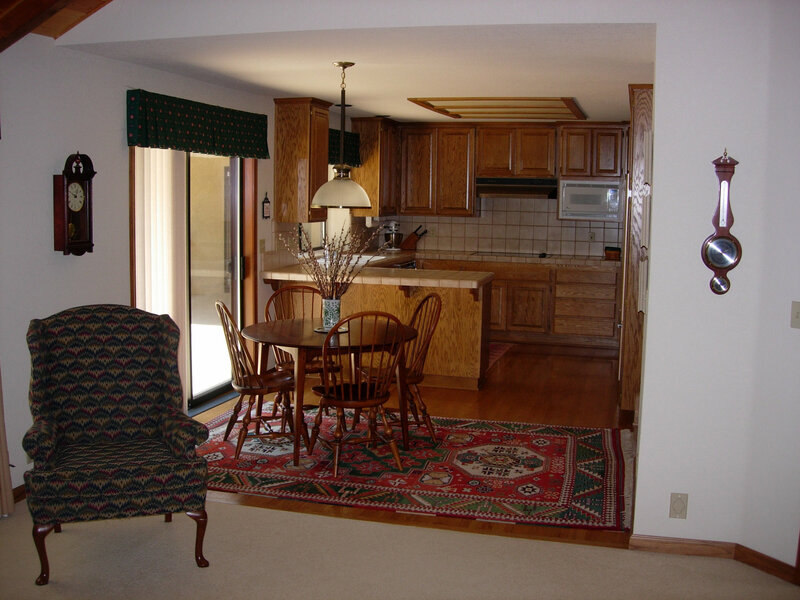 The original room had a flat ceiling at 7′-6″ to finish. To enhance the space, Siteline vaulted the ceiling and added a large dormer window over the sink to take in the beautiful woodland view. We can’t recommend Siteline Architecture highly enough. 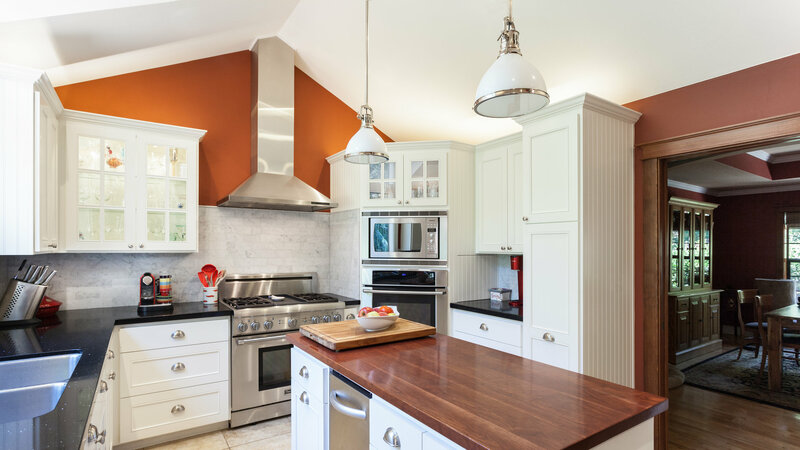 Richard and Andrew hit the ground running on our extensive kitchen remodel, listening to our needs, presenting us with thoughtful choices, and then formulating a solid plan to meet the tight schedule that our job required. They followed up by continuing to exceed our expectations. Logistically, things dovetailed. From the demolition through the finish work, it all went smoothly, in large part because they choose good people to work with and are so easy to work with themselves. Financially, they came in under budget, which is always appreciated (and virtually unheard of). Esthetically and functionally, they hit a definite homer. Our kitchen is beautiful and a joy to work in. We receive compliments on it constantly. Ultimately, we’re thrilled with our new favorite room and would strongly recommend Siteline to anyone looking for design and architectural services.